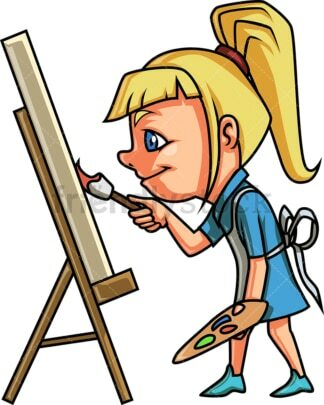 Royalty-free stock illustration of a little girl with blue eyes, blonde hair and a ponytail, slightly leaning forward as she paints on a frame, holding a color palette and a brush. Royalty-free stock illustration of a little boy with brown hair and blue eyes, seen from the back painting on a canvas using two buckets of blue and brown paint. 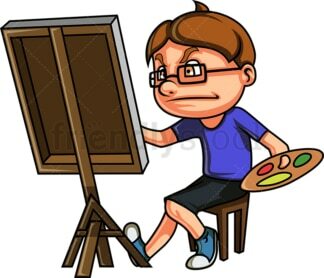 Royalty-free stock illustration of a nerdy little boy with brown hair, wearing glasses and sitting on a stool holding a color palette as he paints something on a canvas. Royalty-free stock illustration of a blond little boy wearing dungarees and taking a thorough look at his brush as he paints on a frame. He is holding a color palette with his other hand. Royalty-free stock illustration of a cute little girl with brown hair and green eyes, standing all proud in front of a canvas as she has finished painting a nature scene. 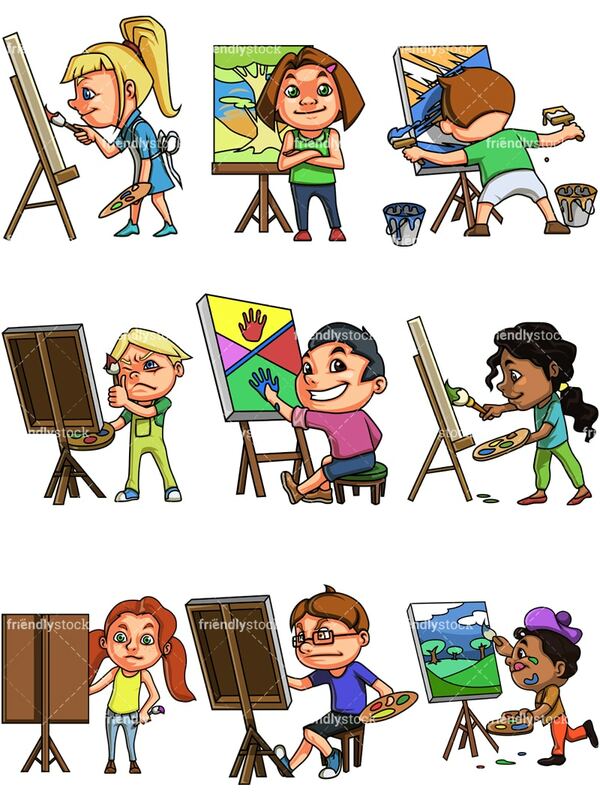 Royalty-free stock illustration of a little boy with dark hair painting using his hands and fingers on a canvas and looking happy, wearing a big smile on his face. Royalty-free stock illustration of a little girl with red hair taking a step to the side of her canvas to take a closer and more thorough look to the person of whom she is drawing a portrait. 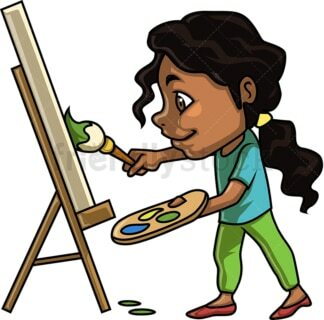 Royalty-free stock illustration of an African-American little girl with dark curly hair, brown eyes and a low ponytail, drawing a picture on a canvas with her paintbrush. 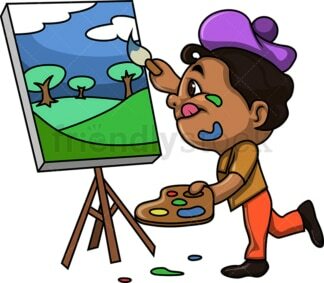 Royalty-free stock illustration of an African-American little boy with dark curly hair, drawing a landscape on a canvas while sticking his tongue out and having paint on his face.